Skinceuticals Cellulite Cream Reviews: Does It Deliver Results? SkinCeuticals Body Tightening Concentrate is marketed as a cooling, firming treatment for problem areas all over the body. 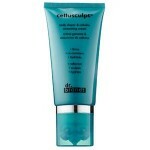 This product essentially reinflates sagging areas, creating a tighter, smoother surface with 2% hydrolyzed rice protein. As we age, it seems like gravity is working against us. Not only does skin sag around the jowls and mouth area, many women are plagued with loose skin around the arms, buttocks, abdomen, and legs as well. SkinCeuticals Body Tightening Concentrate is a firming body cream that is intended for all skin types. This product is formulated with 2% hydrolyzed rice protein, which helps the skin feel firm. For best results, apply SkinCeuticals Body Tightening Concentrate up to two times per day to loose, sagging areas on the body. 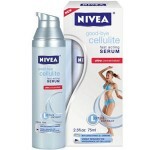 This product may be applied to the arms, thighs, abdomen, buttocks, and knees. During the day, be sure to follow up with a broad spectrum SPF sunscreen of at least 30 for optimum results. 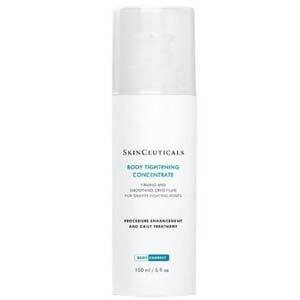 SkinCeuticals Body Tightening Concentrate retails for $78.00 per 5.0 oz. of product on SkinCeuticals’ own website. Tripeptide (2.5%): This ingredient reverses common signs of aging, such as fine lines and wrinkles. Hydrolyzed Rice Protein (2%): This ingredient makes the skin feel firm. SkinCeuticals is a well-known skincare brand. This product is paraben and fragrance-free. This product tightens the skin and has a nice cooling effect. There is no topical treatment that can physically lift sagging skin. This product is rather expensive for anyone on a budget. This product has a high concentration of alcohol, and may cause dryness and irritation. SkinCeuticals Body Tightening Concentrate doesn’t just reverse common signs of aging, it claims to tighten sagging skin and make the skin feel firmer with continued use. Although this sounds like the perfect solution for those of us that seem to be fighting against gravity, there are several issues we’d like to address before you consider purchasing. There are no topical products on the market today that can actually tighten sagging skin. There are no topical ointments that can lift skin that’s begun to droop due to aging or weight loss. The only way to reverse such issues is to visit a doctor and receive an in-office treatment. There are products out there, however, that can hydrate the skin and reduce wrinkles. Unfortunately, this product is high in alcohol content, meaning that it’s not safe for those with sensitive skin. In fact, those that are attempting to reverse the look of wrinkled or dimpled skin may find that this product actually makes their imperfections worse with continued use. Alcohol is extremely drying and should not be applied to the skin regularly. SkinCeuticals Body Tightening Concentrate is available on SkinCeuticals’ own website. They have a very reasonable return policy. If for any reason you aren’t happy with your purchase, you may return it within 90 days for a full refund or exchange. Poor circulation in the legs affects many people so any product that can improve the blood flow will definitely have benefits for anyone suffering from this. Our sedentary lifestyle can also contribute to a sluggish circulatory system and, while exercise and activity is the best remedy, using an invigorating cream or gel may certainly help relieve the accompanying symptoms. However, while some products of this type sometimes also claim to eliminate cellulite, they may at best simply improve the look of the skin temporarily.